The Dallas Cowboys are just trying to survive, literally, after losing another integral offensive player. 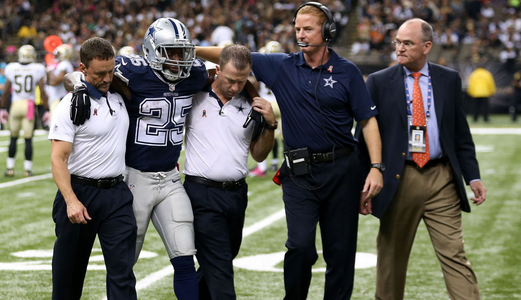 Talented running back Lance Dunbar left Sunday’s game against the New Orleans Saints with a knee injury, and the team fears that he tore his ACL and MCL, according to ESPN’s Todd Archer. Dunbar will undergo a MRI on Monday. Dunbar was hurt during the second half kickoff, losing the ball after his knee buckled. The Cowboys are already without quarterback Tony Romo out with a broken clavicle and receiver Dez Bryant, who is sidelined with a broken bone in his foot.